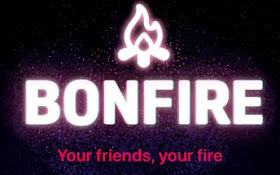 A report came few months back, that Facebook is working on a standalone group video app but today, the app called Dubbed Bonfire, has started rolling out by the company. Dubbed Bonfire app is quite like the houseparty app that allows you perform a video chat with several participants at the same time. With the app, you can apply Snapchat-like effects and you can also share to Instagram, Messenger and Facebook. However, the rollout is limited at the moment and available to iOS users in Denmark at the moment but will soon start rolling out to everyone around the world. "At Facebook Inc we continue to build and test new products and services. We already have many great experiences for people to video chat in groups, or as individuals, across the family of apps, including Messenger. We are interested in how everyone uses technology and how we can build great experiences for them. We’re running a very small test in Denmark of an app we call Bonfire. We have nothing further to share at this time." What do you have to say about the new Facebook-owned app?